Once again, Alessandro Michele of Gucci was up for the accessories award (he won it last year), as well as Designer of the Year. And once again, Gigi Hadid, winner of Model of the Year in 2016, was back in the running, joined by her younger sister Bella (on the list last year), Adwoa Aboah (on the list last year, too), and Kaia Gerber, the 16-year-old daughter of Cindy Crawford, who appeared on every major fashion week runway last season. And so it went. Guram Gvasalia, the chief executive of Vetements, was back as a nominee for Business Leader. Vetements itself was up for the Urban Luxe Award (which it won last year). Raf Simons for Calvin Klein was a new addition to the Designer of the Year shortlist, but then again, this is not his first appearance at the fashion awards-scene rodeo; in June he won both women’s wear designer of the year and men’s wear designer of the year at the CFDA Awards in New York in June. Then there were the salutes to Christopher Bailey of Burberry (men’s wear designer) and Sarah Burton of Alexander McQueen (women’s wear designer), both stalwarts of the scene who frankly would cause more of a stir at this stage if they weren’t up for an award. The designer Charles Jeffrey, left, at his Loverboy show in London in June. As the audience rose and prepared to face the rain, one couldn’t help but think: for an industry whose raison d’être is an obsession with newness, the awards event scheduled for Dec. 4 at the Royal Albert Hall, which doubtless will be uplifting and in the right spirit, also is running a high risk of feeling like more of the same. Unsurprisingly, it was among the British Emerging Talent categories, broken into separate awards for men’s wear and women’s wear this year, that some fresher faces finally were mentioned: Charles Jeffrey for Charles Jeffrey Loverboy was nominated for the men’s award, and Natalia Alaverdian for A.W.A.K.E, Michael Halpern and Rejina Pyo were among the women’s wear nominees. Interesting, too, was the inclusion of Supreme in the shortlist for Urban Luxe Brand, as the skate wear brand continues its charge closer into the bosom of the fashion establishment. Perhaps the biggest surprise — and most controversial choice — was the nomination of Maria Grazia Chiuri of Dior as Designer of the Year. Ms. Chiuri has been at the brand’s helm for three seasons now, and a subject of critical debate for almost as long. Dior sales may be robust but reviews of her collections have been mixed (to put it mildly). 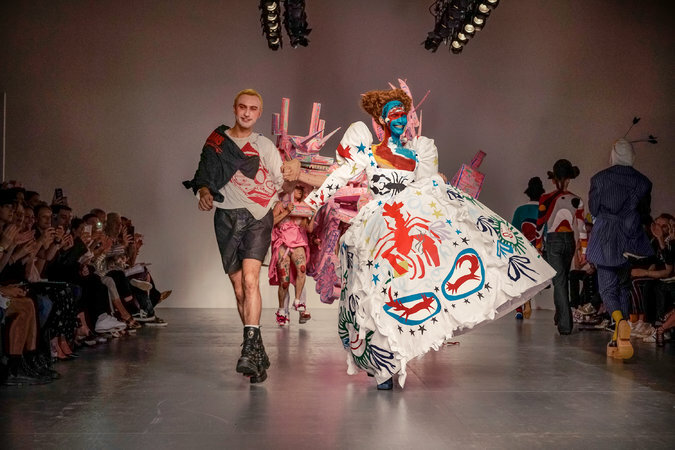 Which raises some interesting questions about the awards criteria, and may make it the most-watched choice of the night, which is largely a fund-raising vehicle for fashion education grants. May the best man, woman or international conglomerate, win. An earlier version of this article misstated the label for which Jonathan Anderson received a nomination for Designer of the Year at the 2017 Fashion Awards. It is Loewe, not J.W. Anderson.